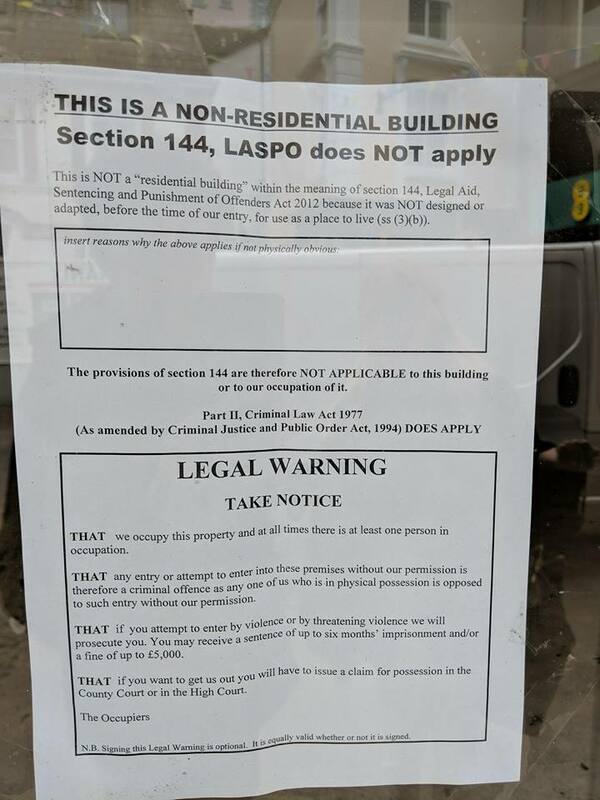 In what seems to be a desperate act to combat homelessness within Falmouth, individuals have taken residence inside an empty store premises in the town centre. Sticky O’Rourke and his partner Moy are believed to have entered the vacant lot in which the Edinburgh Woolen Mill was present until 2016. Locals were first alerted to the situation on Sunday night (April 22) when witnesses first saw the two occupants inside the premises. In a statement issued Monday, town centre manager said: “We’re well aware of it. We have to go through the due process involving the property agent Scott Burridge Commercial and the police”. 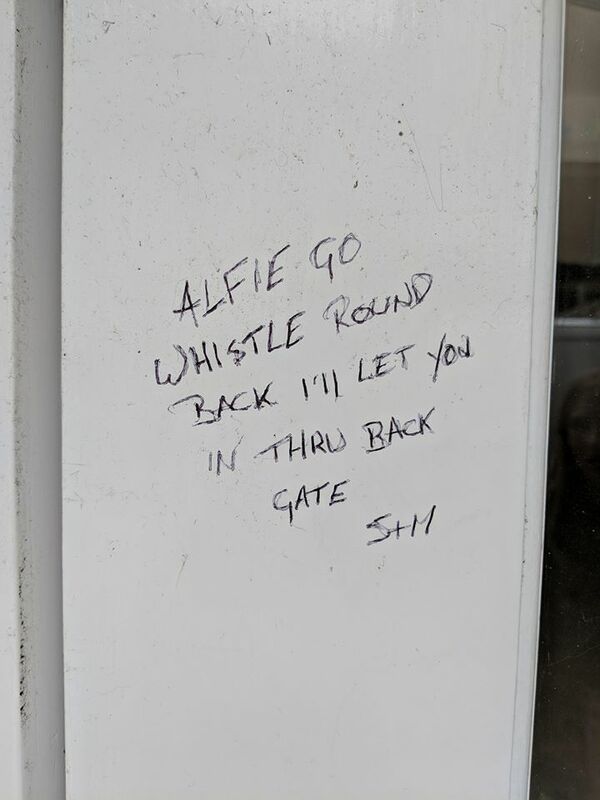 The front of the store ha s been inscribed with the words “Alfie go whistle round the back I’ll let you in thru the back gate S+M”. 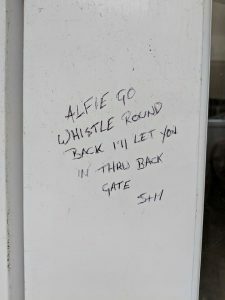 As of reporting this hasn’t been removed and is still up, the occupants inside as well. 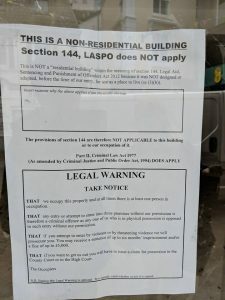 Whilst O’Rourke is technically breaking the law, this has furthered the question into homelessness on Cornish streets, and whether or not enough is being done to tackle the issue by local council and parliamentary authorities. A report by the National Audit Office last year showed there was a 52% increase in homelessness between 2009 and 2016. The issue with O’Rourke brings up a much needed ethical debate, but what is the right way of tackling this, especially from both a legal and moral standpoint?